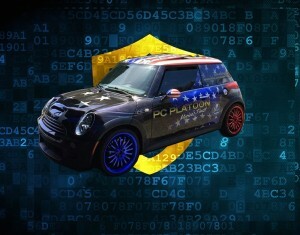 PC Platoon in Everett and Mukilteo, WA is a computer networking professional. Are you looking for a technical professional to resolve IT issues at home? Is your office network slow and inefficient? Do you need lab service for your laptop or desktop? Look no further. PC Platoon offers mobile, remote or lab service to find the right solution for all your home and office computing needs. Our company has the right solution for your computer problems. We have a team of professionals with expertise in all types of technical related services for PCs and Macs, including home and office networking, hardware repair, software installation, and home entertainment setup. If you need mobile service fast, call PC Platoon today and our expert techs can resolve your issues. If you need assistance for home networking installation or to set up a universal remote you can rely on us. PC Platoon specializes in home and business networking solutions. Our company provides hardware service for a range of systems. Professional audio and video setup to suit your entertainment needs. Copyright © 2019, PC Platoon. All Rights Reserved.